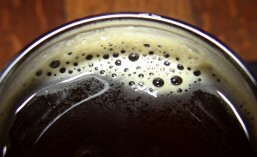 The majority of the craft beer styles we all love to enjoy are Ales. Pales, IPAs, Stouts, Porters, Browns, Barleywines, Kolschs, Saisons, Lambics and more are all types of Ales. When most people think of Lagers, they tend to, unfortunately, think of beers like Budweiser, Miller, Corona and the like. While these brands are lagers (mass-produced, low-quality adjunct Lagers), don’t forget that most classic German beers are also Lagers. They include such classic styles as: Pilsner, Märzen/Oktoberfest, Bock/Doppelbock, Maibock, Helles Lager, Rauchbier and more. There are also more American style Lagers such as Malt Liquor, Steam Beer (such as Anchor Steam*), Imperial Pilsner as well as Pale Lager and India Pale Lager, which are primarily intended to be lighter bodied versions of their Ale counterparts. Creating a Pale Lager or India Pale Lager is quite similar to creating a Pale Ale or India Pale Ale, the main difference being the type of yeast used and, of course, the fermentation temperature. Ales like things a bit warmer (mid to high 60’s), while Lagers like things a bit cooler (mid to high 30’s).